Candice Brown has been named as the Queen of Great British Bake Off after a royal-themed final. The 31-year-old PE teacher said she was in “complete and utter disbelief” at beating finalists Jane Beedle and Andrew Smyth to be crowned champion. Paul Hollywood said the amateur baker was “one of the best”, while fellow judge Mary Berry said she “excelled”. It is Bake Off’s seventh series – and the final one broadcast on the BBC after Channel 4 bought the rights. Candice, from Bedfordshire, said that winning was the biggest moment of her life so far. The finale saw the trio create a three-layered meringue crown for the signature challenge – which Candice filled with prosecco-soaked berries and pistachio jewels, topped with a miniature Queen Victoria crown. They then had to make a perfect Victoria sponge cake for the technical challenge, set by Mary Berry, with only one instruction and no measurements given. The showstopper saw them produce a picnic fit for a Queen, with multiple elements including sausage rolls, fruit tarts and a chocolate celebration cake. Candice offered pig-shaped sausage rolls as part of her showstopper bid to win over the judges. Berry said the challenge – with the most bakes ever requested for one of the rounds of the show – was an “absolute humdinger”. She said Candice’s win was “well deserved for her determination and passion”, adding that she used “wonderful flavours, and everything always looked gorgeous”. The project, which will involve virtual reality and artificial intelligence, has been described as a “new entertainment experience”. “We are exploring a new technological world that will allow us to create new forms of entertainment and content we couldn’t have previously imagined,” Fuller said in a statement. The group announced they will work with Fuller, who rose to fame managing the Spice Girls, on what is being described as a “groundbreaking venture that will utilise the very latest in digital and virtual reality technology”. 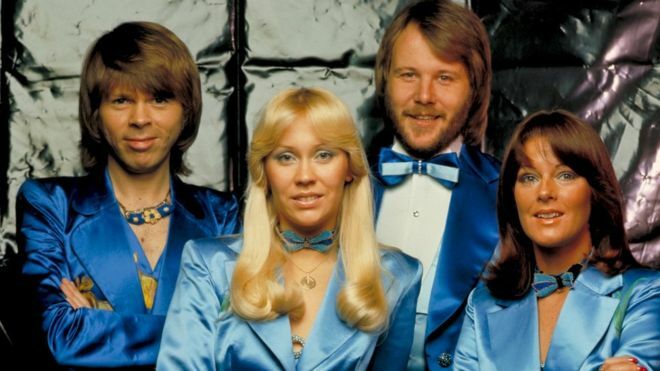 The project will aim to take the Abba experience to a new generation of fans and will enable them to see, hear and feel the band “in a way previously unimagined”, a press release said. In June this year the band performed together for the first time in 30 years to celebrate the 50-year partnership between songwriters Ulvaeus and Andersson. Abba’s biggest hits include Waterloo, Dancing Queen, Mamma Mia and Super Trouper. Their music was adapted into the successful theatre show, Mamma Mia! which was also turned into a 2008 film featuring Meryl Streep, Julie Walters and Pierce Brosnan.